Landscaping changes with the times; what you used to find avant-garde two decades ago might be a bit outdated 18 years into the new millennium. If you find your outdoor design a bit outdated, these five landscaping elements could help make it more modern. Keeping your lawn neatly trimmed, and your hedges clean are the two essential features of every modern landscaping. The plants grown in modern landscapes are more managed than ever compared to other landscape designs. It’s all about minimalism and keeping your garden clutter-free to achieve that clean and neat look. Apart from controlled gardening, it also helps to keep the bushes trimmed in geometrical patterns, such as squares, rectangles, circles and more. It lends a more aesthetic edge to your landscape design. An artistic representation of water features, such as strategic placement of pools, is a key element in modern landscaping and contemporary landscaping. It adds a layer of sensory design to the landscape by pairing the clean lines of the landscape with sound and movement. When installing heavy outdoor features like water fountains and ponds, seek the help and advice of your trusted general contractor. The color palette of every modern design should be subtle and neutral. There is no room for eye-popping colors that would divert the attention of your guests from the landscape as a whole. Surrounding your landscape with natural stones is the final piece of building your new landscape design. They are used to create space within the garden to avoid making the other elements seem crowded. 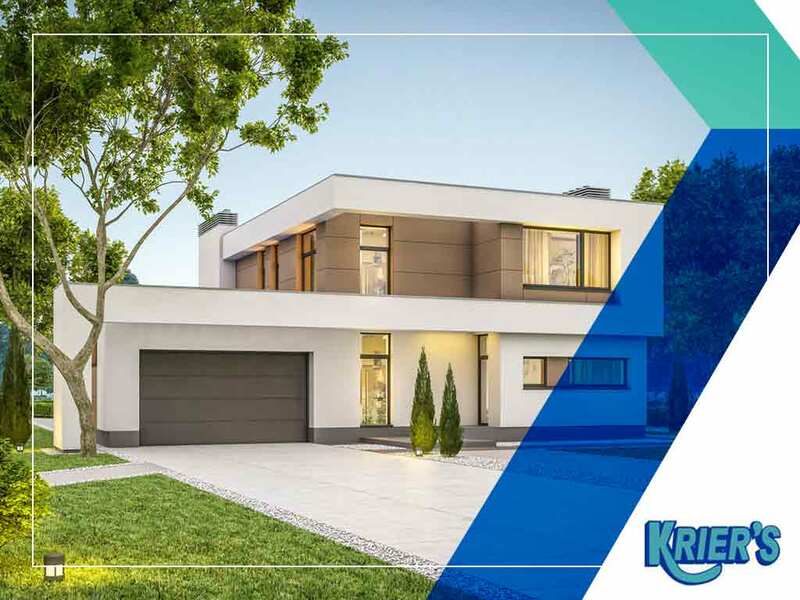 Krier’s Construction, the leading company of expert roofers and landscapers, offers you the opportunity to design your exterior the way you want it. Talk to us at (920) 328-0747 for more information. You can also fill out our contact form to receive a free project estimate. We serve homeowners in Oshkosh, Green Bay and Appleton, WI.